The 2019 USA Volleyball Boys’ Junior National Championships will be held in Dallas from June 30-July 7 at the Kay Bailey Hutchison Convention Center Dallas. The BJNC, which will be in its 40th edition in 2019 after Phoenix hosts the event 2018, typically draws over 450 teams and nearly 5,000 competitors from across the country competing for one of 12 titles from ages 12-and-under to 18-and-under. Dallas has served as a tremendous host city partner of many past USA Volleyball events. The BJNC was also staged in Dallas in 1998 and 2016. The GJNC have been held in Dallas in 1998 and 2008, while the GJNC18 was held at the Kay Bailey Hutchison Convention Center this past April. 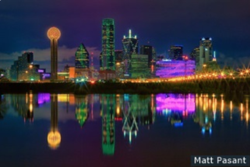 The USA Volleyball Open National Championships have been held in Dallas four previous times (1960, 1996, 2002 and 2011). Dallas has hosted two weekends of the FIVB World League as the U.S. Men’s National Team hosted Italy, France and Korea in 2012 followed by Russia, Australia and Bulgaria in 2016.